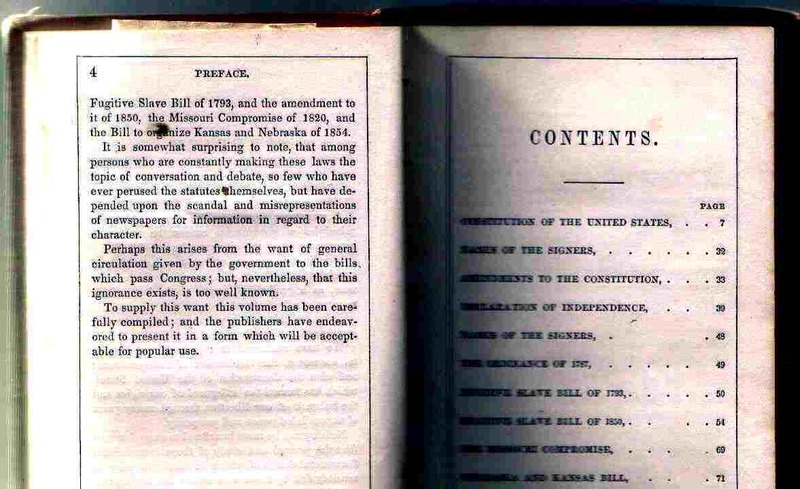 Private publications of the Constitution including the 13th Amendment are innumerable, having been printed as guides to the Constitution and the Law for the use of the common man in his education and understanding of the government of the nation, in which the general population was very much interested. 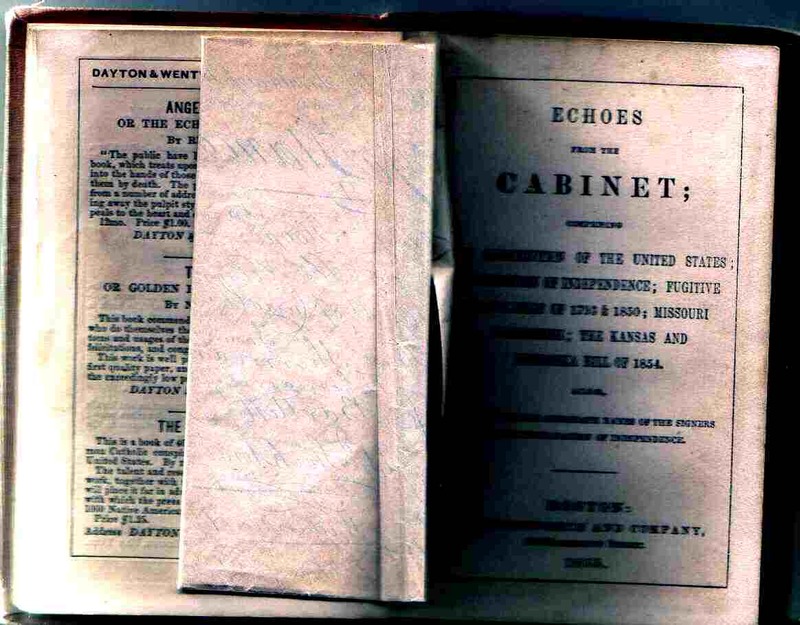 Found in late March, 2006, a very high quality private publication published in 1855 before the start of the War Between The States, Echoes From The Cabinet, is unusual in having an onionskin insert showing facsimile signatures of the signers of the Declaration of Independence in addition to the Constitution with the 13th Titles of Nobility and Honour Amendment in place on page 38, opposite the frontise to the Declaration of Independence. 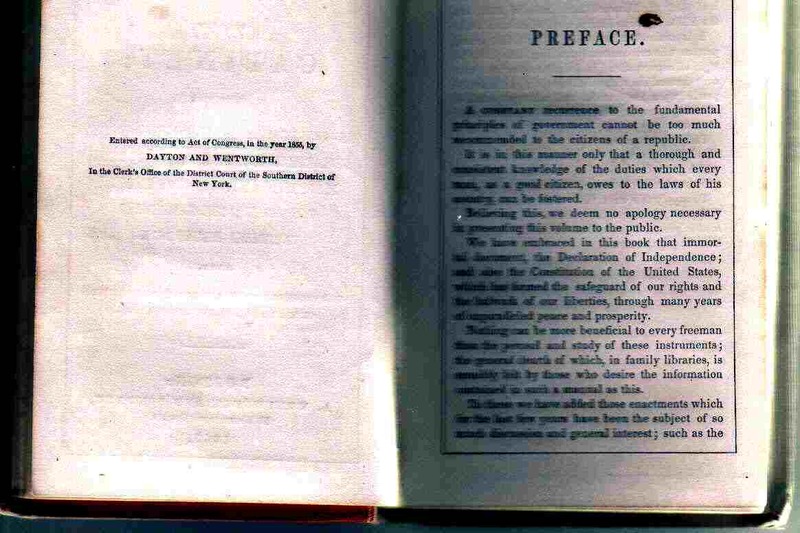 The Last Three Paragraphs of the Preface bear close attention. The brittle onionskin part unfolded. 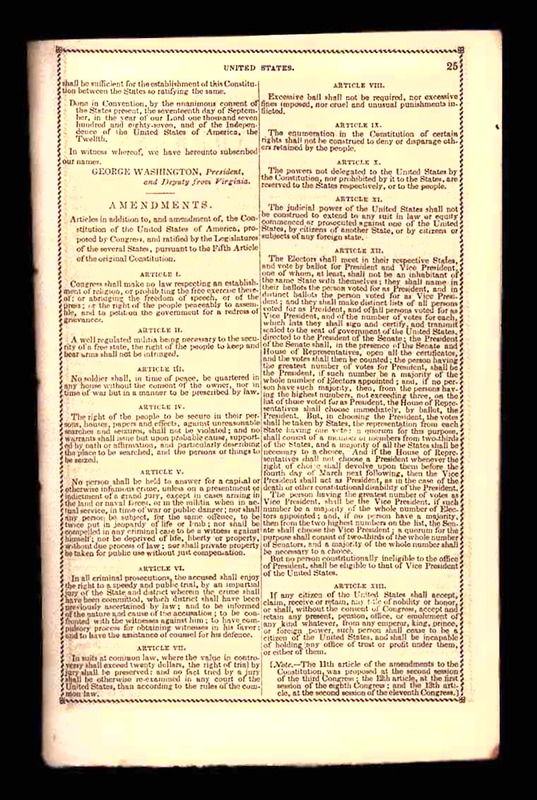 The beginning Articles of Amendment comprising the "Bill of Rights." 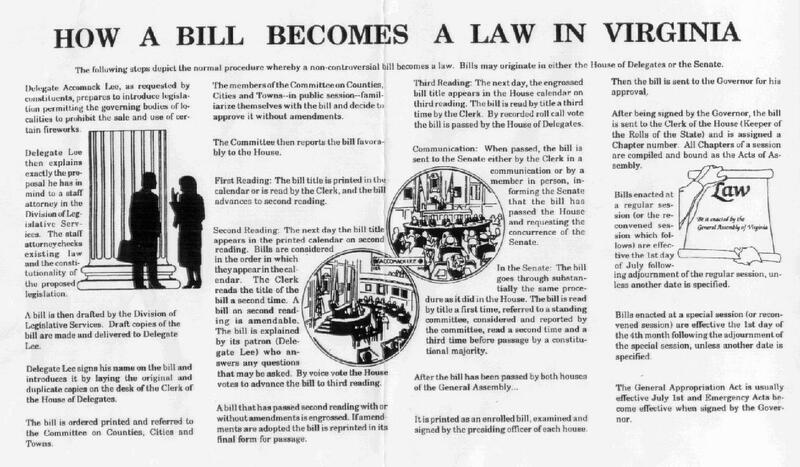 Article 13 Titles of Nobility and Honour Amendment in place. 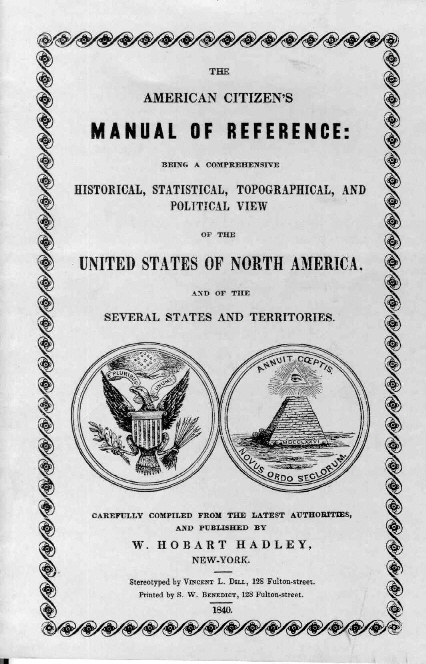 Another example of this type, The American Citizen's Manual of Reference of 1840, has these pages and shows the 13th Amendment in place. 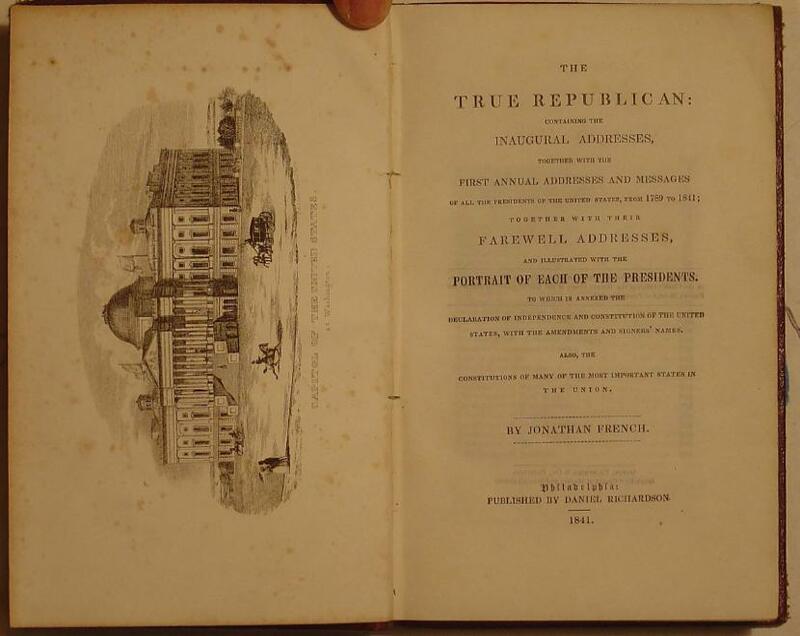 Another example of this type, The True Republican of 1841, has these pages and shows the 13th Amendment in place. 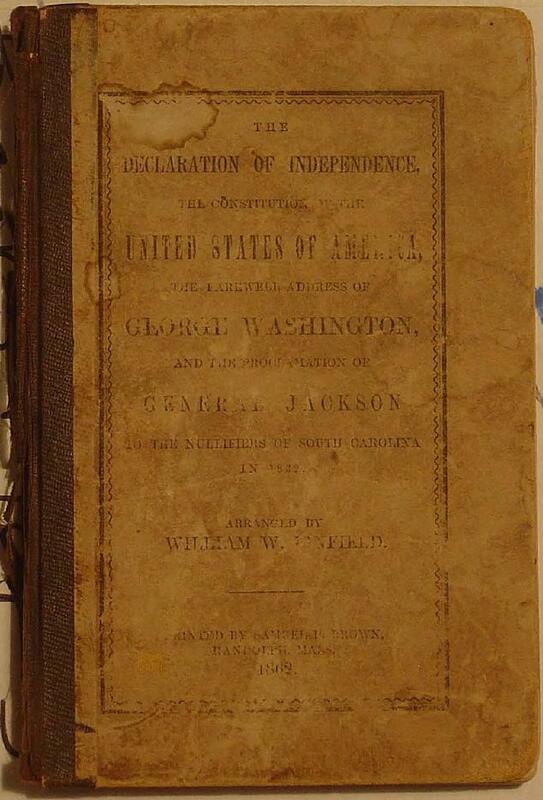 War Between The States, has these pages and shows the 13th Amendment in place. 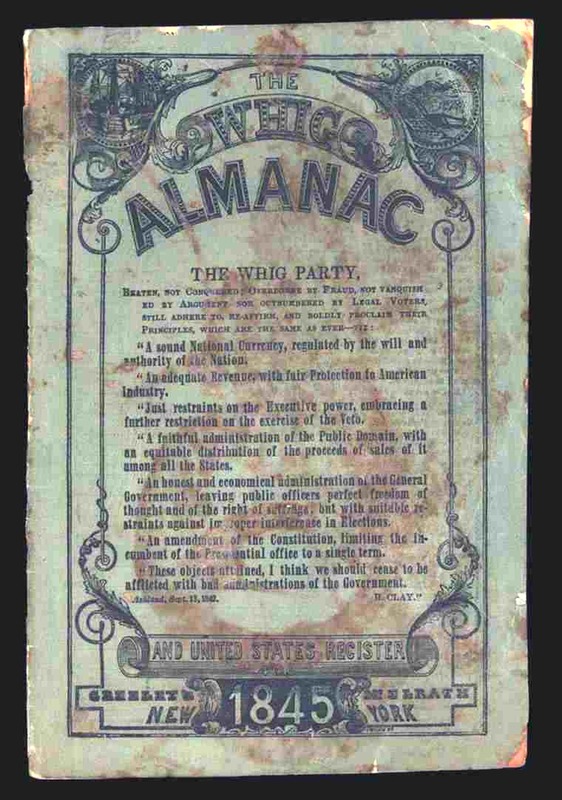 The Almanacs of the era contained the Declaration of Independence and Constitution along with review of current laws and, of course, all sorts of data necessary to earn and maintain ones self and family. 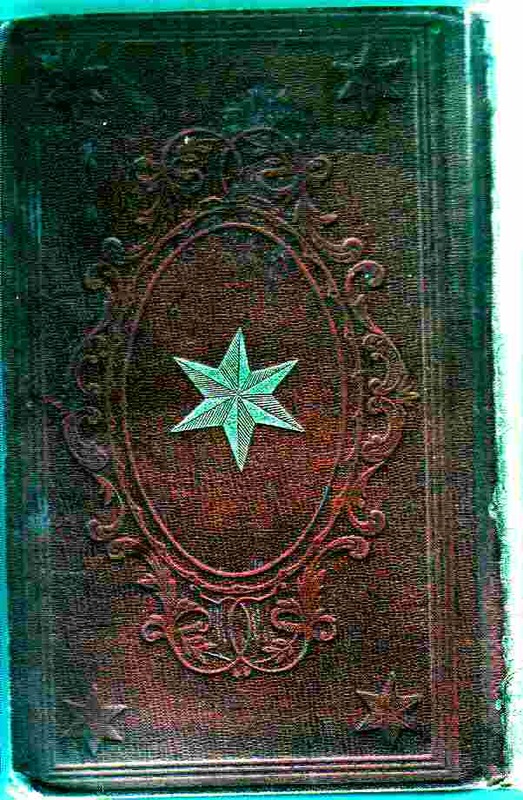 The almanac and the bible were the two main sources of reading material and guides to successful living. 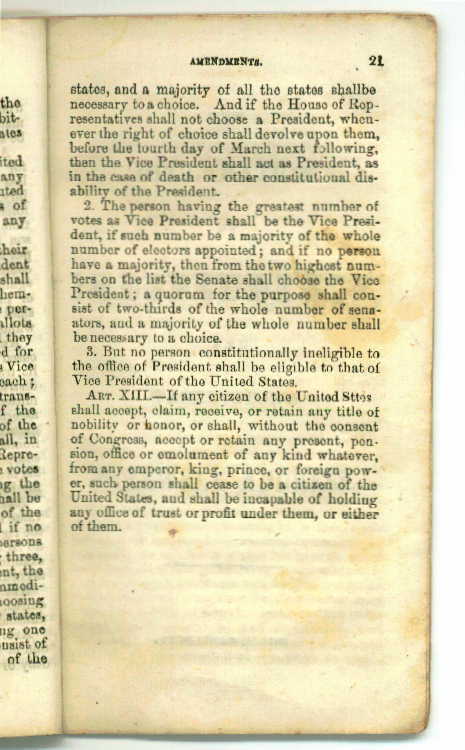 An example of this type, The Whig Almanac of 1845, has these pages and shows the 13th Amendment in place. 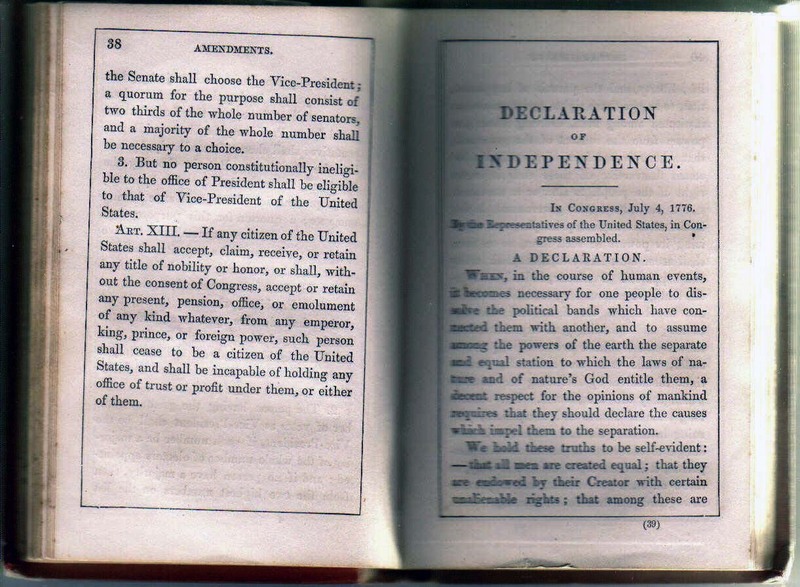 More Whig Almanac Pages showing the Declaration of Independence, The Constitution, political analysis, calendar and demographic data. 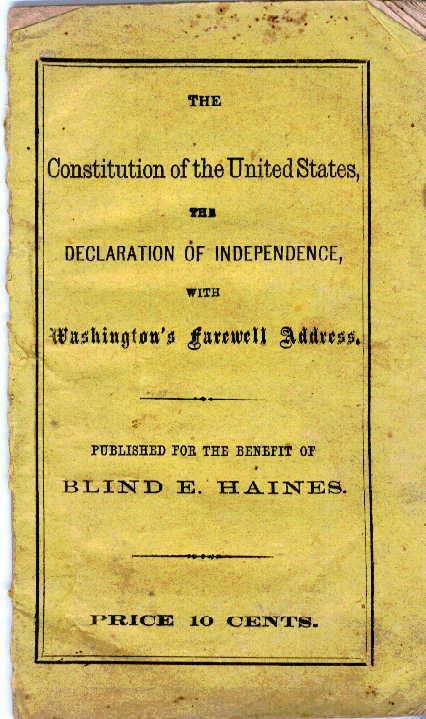 After the War Between The States, great numbers of these pamphlets were printed and placed for sale before the public by disabled veterans of the war, most often as beggars on the street, to support themselves and their families, the benefits accruing to disabled veterans not being as complete as they are now in the 21st Century. 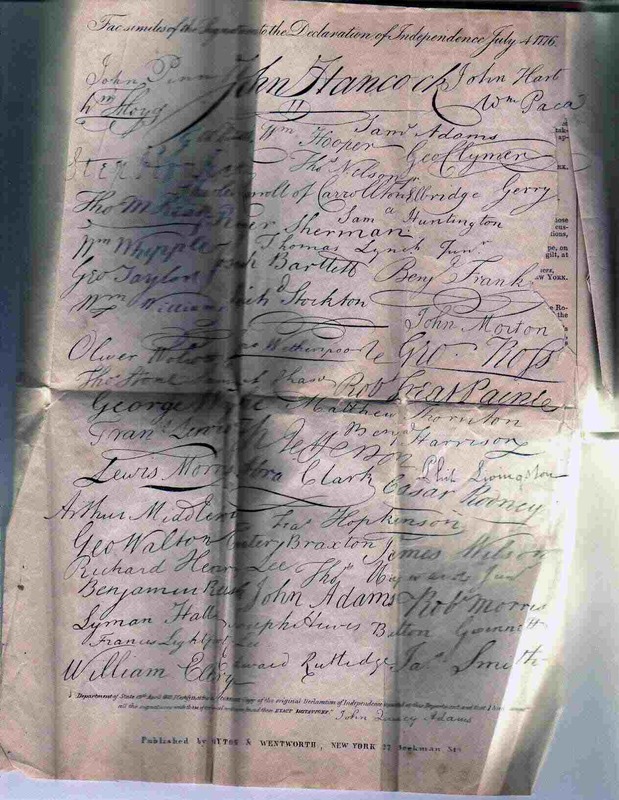 Two examples of this type, printed after 1865, are here presented. 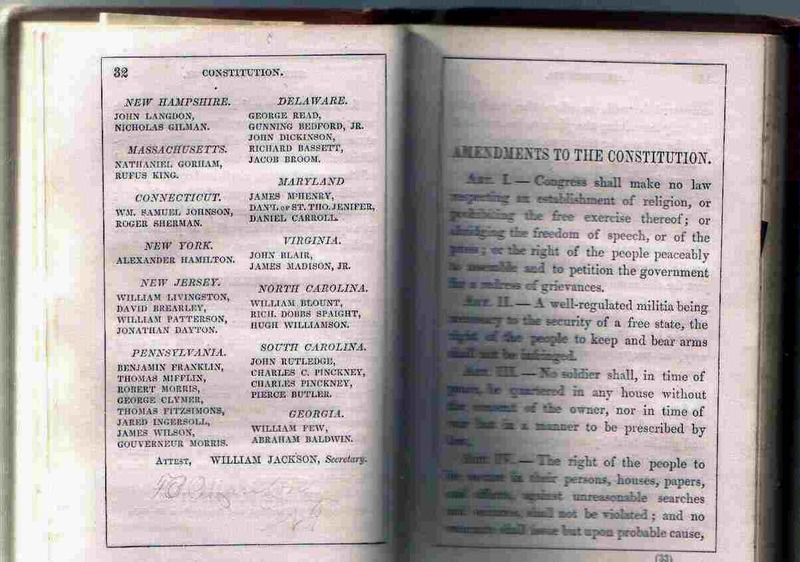 Page 59 of pamphlet showing the 13th Titles of Nobility and Honor Amendment in place. 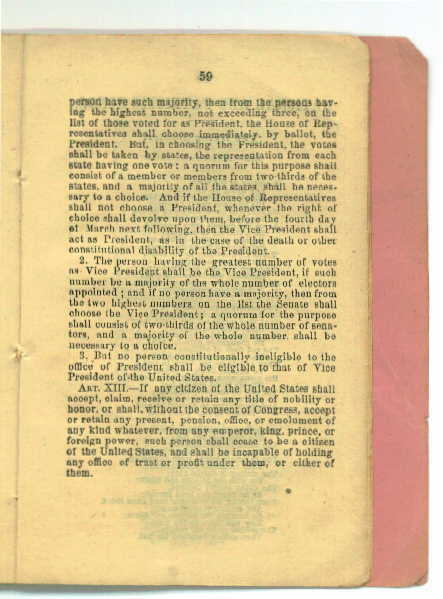 Page 21 of pamphlet showing the 13th Titles of Nobility and Honor Amendment in place. 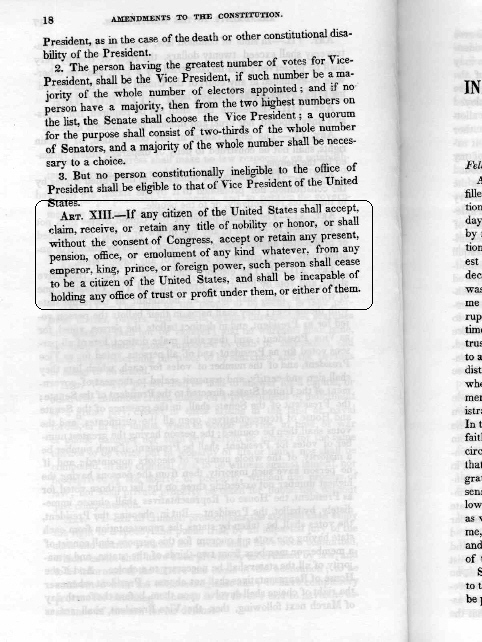 As you can see, the 13th Titles of Nobility and Honors Amendment was the common knowledge of the citizen of the United States. 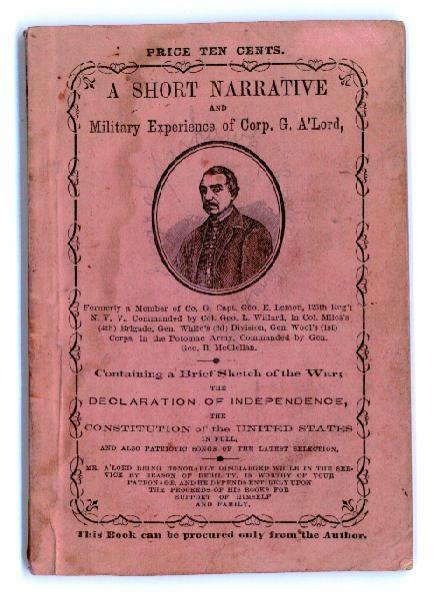 The Constitution was taught, and jealously guarded and defended by the ordinary citizen and the veteran who had pledged his life, his fortune and his honor in its defense. The interest of the citizen in the Constitution literally meant the survival of the Disabled American Veteran. Those of us who have served in combat are not likely to ever forget the reasons for the defense of the Constitution, why we fought and died, nor the oath we gave. That Oath is still in effect. It does not cease with discharge from service.